Recognition is provided for all events and sponsorship dollars may be designated for one or multiple events and programs. Sponsorship packages for year-round recognition are available. What: Over 30% of our School of the Arts students are provided scholarships to pursue their form of artistic expression in art, music, and theater. 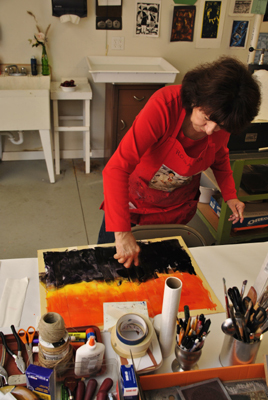 The East End Arts School has been offering educational programs in the arts since 1995. Why You? Your generosity to the community will be rewarded by having a scholarship in your business name, and your donation will positively affect the lives of over 50 children and their families on the East End each year. What: High school students with exceptional musical ability and commitment are chosen after a rigorous audition process to work alongside internationally recognized recording artists. Past masters have included singer/songwriter Lauren Kinhan and drummer Corky Laing. 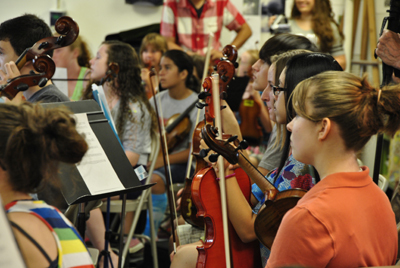 Students receive instruction in recording, music composition, and songwriting, and leave with portfolios to assist them in future endeavors. 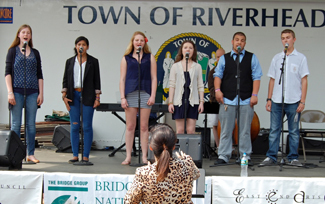 Where: East End Arts Riverhead location and various performance venues on the East End. Why You? Your business name will be promoted to thousands of local high school students and families throughout the region, who will recognize your dedication to fostering the education of our talented youth. What: This program is designed to bring established as well as emerging artists of all disciplines to the East End to showcase their work to a local audience, give them a chance to create new work by providing housing and studio space, and to provide our constituents with an in-depth opportunity to learn from the Artist-in-Residence during workshops and lectures. Why You? Your donation will bring your business name recognition at the many events surrounding this program, and will show your support in the community of emerging and established artists.